Dialogue with Li Shaojun, Global Chief Strategy Analyst, Guotai Junan Institute: Where are the opportunities for China's capital market in 2019? Guojun Strategy Li Shaojun: How will the A19 spring incitement be interpreted in 2019? Li Shaojun: Where are the opportunities for China's capital market in 2019? Li Shaojun: Market sentiment remains fragile. Market performance is weak under short-term shock. Guotai Junan Li Shaojun: After the market bottoms out, the rescued enterprises will face the dilemma and reverse investment opportunities. Guotai Junan: At the bottom of the policy, the valuation is relatively cyclical. 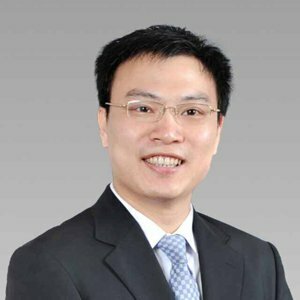 Li Lifeng, chief strategist of Guojin Securities, head of strategy group team, engaged in macro strategy research in 2010, worked in public fund, and joined the National Securities Research Institute since April 2015, mainly engaged in market trend strategy and market theme. Research work such as strategy. In 2015, he won the 5th place in the 9th Crystal Ball Strategy Team. 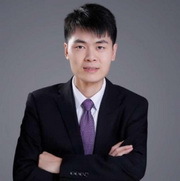 Chief Strategy Analyst of Haitong Securities, Registered International Investment Analyst (CIIA), Best Analyst of New Fortune, 3rd in 2014, 3rd in 2013, Best Analyst of Securities Market Weekly Crystal Ball Award 2014 Fourth place, fifth place in 2013, the best analyst of China Securities Journal Golden Bull Award, fifth place in 2014, third place in 2013, the best analyst of CBN, third place in 2014, WeChat public No. "荀玉根-Strategy Research". He is currently the Chief Economist (Vice President) of Evergrande Group and the Dean of Evergrande Economic Research Institute. He served as the chief macro analyst of Guotai Junan Securities and Founder Securities. He joined the securities industry in 1993 and worked as a manager for many years in the securities business department. He is now the manager of the market research department of Shenyin Wanguo Securities Research Institute. Since 1993, he has published market analysis articles, and has columns in many media to analyze market hotspots and policy orientations. He also has some research on the financial status of listed companies and has a high reputation in the market. He Wannan, female, graduated from Fudan University's journalism department in the 1960s, a famous financial journalist. He began to enter the securities reporting field in 1989. In July 1990, he founded the first securities column of the Chinese media, the "News" securities market column. One is not acceptable. The individual is mainly engaged in the research of listed companies and the construction of the securities market. Over the past decade, he has written thousands of articles on investment value analysis, company interviews and related market construction. He is the author of Securities Investment Skills, Securities Market Guides, Family Investment, Performance: Growth and Restructuring, China Stock Market Investment Handbook, Securities Law and New Stock Market Concept, and Masquerade More than ten books have been selected, including the veil of 100 listed companies and the "Financial Reports". Dr. Li Zhilin, the pen name loyalty, China's first generation of stock market investors, has entered the stock market since 1991, and has created the necessary stock selection techniques to become a winner's "victory" and "super-limit war". His practical ideas, ideas, rhythms and methods have achieved remarkable results. 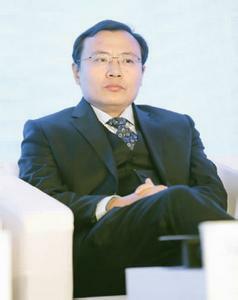 He is currently the director of the Institute of Enterprise and Economic Development of East China Normal University. He was invited to visit more than 20 countries in the United States and Europe to give lectures and exchanges.